It's December! That means it's time to get shopping for all your holiday gifts. It is not always an easy task, but lucky for you, The Time Bum is here to help. 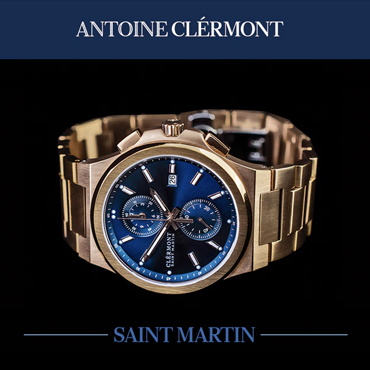 Here are my picks for the watch lovers and others who might be on your list. Joel and Kerri Mills create beautiful handmade leather watch straps and other accessories at their North Carolina workshop. I've owned a few Choice Cuts Industries straps, and I got the chance to check out their valet tray and watch roll at the District Time Show. They do fine work, the leather is top notch, and the prices are excellent. 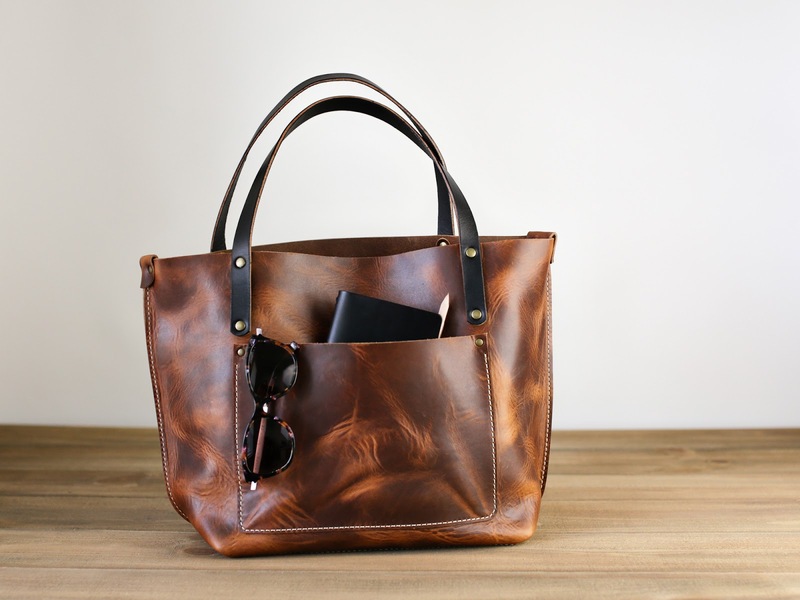 Watch folks will no doubt gravitate to their selection of watch bands ($60), but since you're feeling gifty, I'd also suggest you take a good look at the gorgeous Large Leather Tote bag in English Tan ($250) for that stylish woman in your life. Whatever you choose, use code TIMEBUM20 and get 20% off sitewide. Timex always has a healthy crop of stocking-stuffer watches. 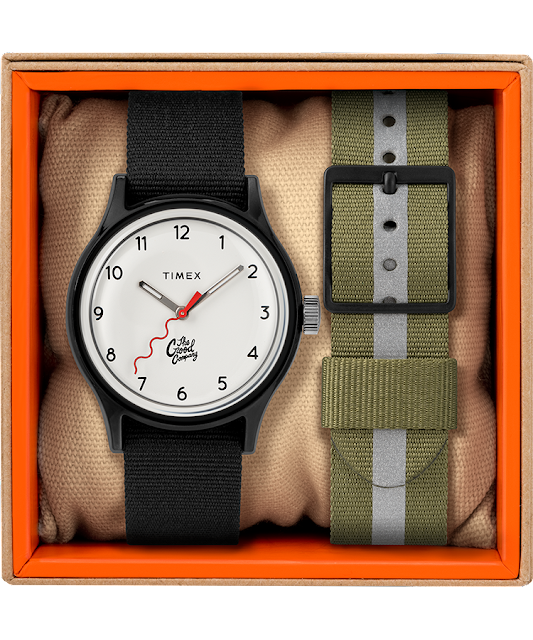 For their latest, they partnered with The Good Company to revamp the classic 1982 Timex MK1. The Good Company merged the original's minimalist military style with its own wave logo as its second hand, creating a fun, Memphis style design. The watch has a 36mm black resin case, acrylic crystal, and quartz movement. 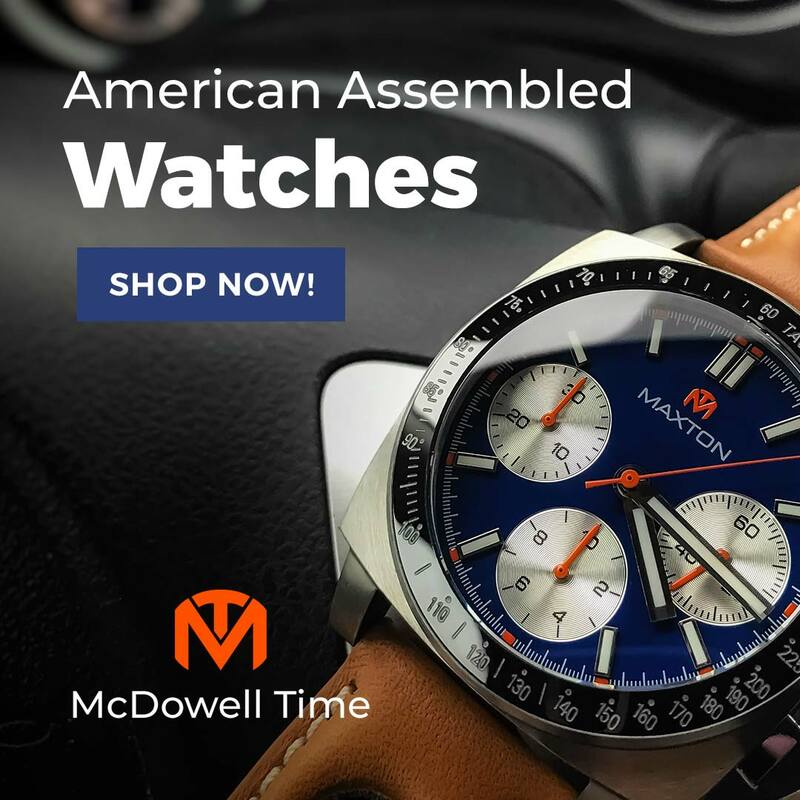 Just $99 gets you the watch on a plastic strap and an 18mm nylon pass-through. The watch is sharp enough for anyone, but the size makes it a good choice for a youngster who could use a first "adult" watch. 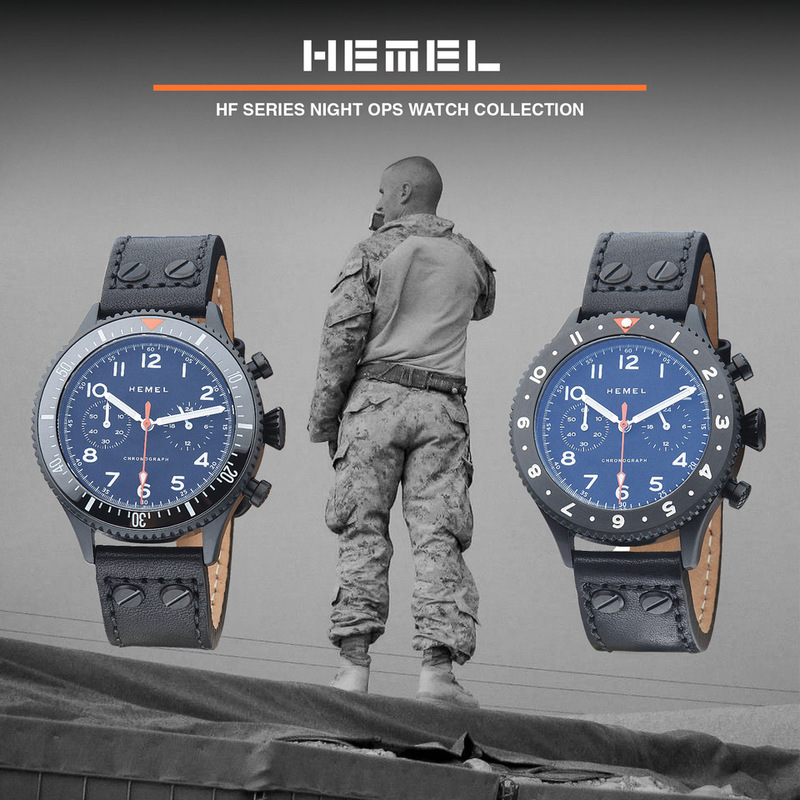 Check it out at Timex.com. I found Undandy.com earlier this year and it was like a dream come true. On their site, you can choose from their curated collection or design your own shoes, boots, and sneakers using their online configurator to choose style, materials, and colors. They are then made to order in Portugal and shipped to your door for a little over $200. You want a simple camel brown cap-toe oxford? Easy. How about a hand-painted finish on a Bordeaux Chelsea boot? Or maybe a pair of pointy-toe, full brogue derbys with chocolate calf wingtips, sand suede vamps, gold patent leather quarters, pink stitching, and a tan leather sole? That sounds ghastly to me, but that's not the point. It really just shows how much customization is possible. I've purchased three pairs already with a fourth on the way. 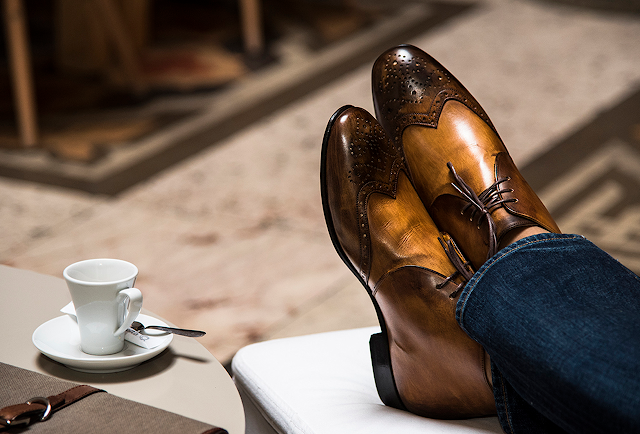 Given that the shoe creation is such a personal thing, and that choosing your design is half the fun, I'd recommend a Gift Voucher for the shoe-loving guys on your list. Spinnaker offers an eclectic selection of watches, but lately, they've been killing it with their Vintage collection. These pieces are bold, attractive, and reasonably priced. I can personally vouch for the $320 Croft (pictured), $285 Fleuss, and $199 Cahill. 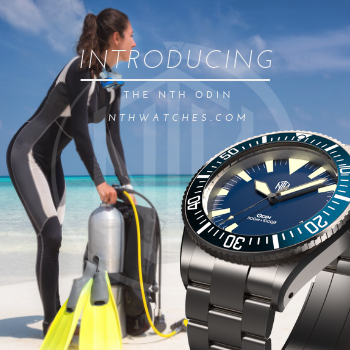 They feature Seiko or Miyota automatic movements, 150m water resistance, bright lume, and some tasty retro design cues. Presentation tends to be impressive too. A gift like this might wake your cousin to a world beyond his Invictas. Use code TTB30 and knock 30% off your price. 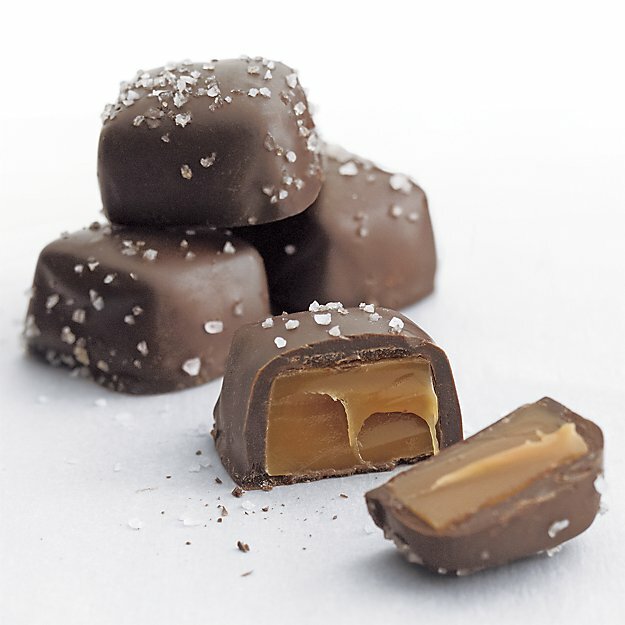 Made for Crate & Barrel by Long Grove Confectionary of Illinois, these delightful caramels are coated in dark chocolate, sprinkled in sea salt, and seasoned with ... I don't know, unicorn milk? Pharmaceutical-grade MDMA? The essence of pure joy? Whatever it is, I can't get enough. I wait all year for Crate & Barrel to stock them, and then I buy several boxes to get me through the holidays. Some years, they have sold out before Christmas, and I cannot take that risk. All other salted caramel treats taste like crap to me now. They are that good. In fact, I'm only telling you about them because I am a kind person who loves his readers and because I've already got mine. Done up in a red tin with a bow, they make a perfect host/hostess gift for those holiday parties. Get yours for just $24.95 at CrateandBarrel.com.